In Games > Show & Tell and Coin Operated > Show & Tell. Hello. Has anyone ever seen one of these? 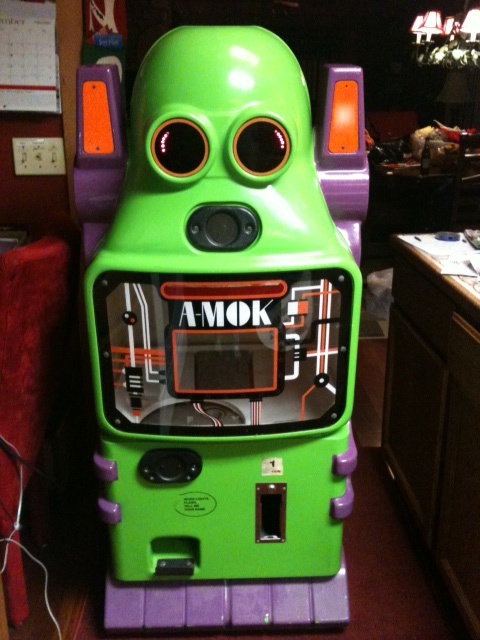 It talks and says my name is A-mok what is your name? can't find anything about this machine.